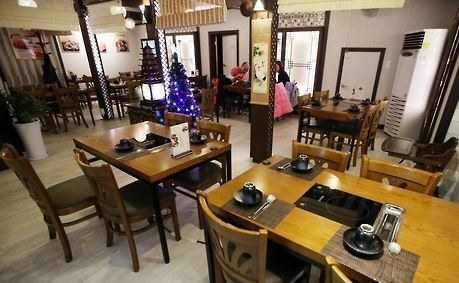 More than eight out of 10 restaurants and accommodations in South Korea go out of business within five years after opening, failing to overcome challenges in the early stages of operation, a state-run think tank said Sunday. The five-year survival rate of hospitality businesses stood at 17.9 percent as of 2015, far lower than the corresponding figure for manufacturers, the Korea Institute for Industrial Economics & Trade said in a report. The survival rate of restaurants and accommodations for a one-year period was 59.5 percent, falling behind that of manufacturers, with 70.1 percent. The gap between the two sectors widened over the next four years, the KIET said. One out of 10 accommodations were small businesses with fewer than four employees, and 27.5 percent them were located in the capital, Seoul, and its surrounding Gyeonggi Province, it noted.